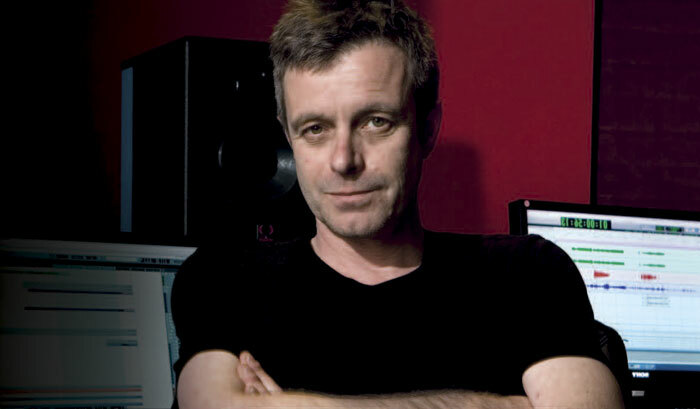 In just a decade, film composer Harry Gregson-Williams has risen from an associate in Hans Zimmer's studio to become one of Hollywood's preeminent film composers. Gregson-Williams's credits include such recent blockbusters as The Chronicles of Narnia: The Lion, the Witch, and the Wardrobe, Shrek 2, and director Ridley Scott's crusader epic, Kingdom of Heaven. We recently spoke with Gregson-Williams about the ins and outs of creating music for picture. How did you become involved in film scoring? It was quite accidental. I had a very thorough music education, and was always interested in composition, but I'd never once thought about composing music to picture. But after a chance meeting with Hans Zimmer in London, where he was working on The Lion King and Crimson Tide, I thought, "Oh my God--I can't believe anyone can have this much fun and make a living." Hans and I became friends, and he suggested I come to LA. I learned so much from him--not just about music, but all the other things besides composing, like how to manipulate sound to picture, or how to deal with directors. After a couple of years, I told Hans that it was time for me to work in the real world. I went from working on top-flight pictures with Hans to doing low- or even no-budget pictures--but they were mine! I've just finished a film called Seraphim Falls for Ikon Entertainment, Mel Gibson's company, with Liam Neeson and Pierce Brosnan. It's a western set in the 1890s, but I gave it quite a contemporary spin. There's awesome scenery, shot in the wilds of Utah, so it's a wide-open score. Later this year I'll be doing The Number 23 with Joel Schumacher. It's a dark thriller starring Jim Carrey. I have no idea what I'm going to write yet. I may go to an area I haven't been before, perhaps a Steve Reich-meets-Arvo Part direction. Every challenge brings a different sonic palette. But melodically and harmonically, I have my own language. I started on Cubase and I ain't gonna switch! What are your primary goals in creating music for film? To provide a dimension that isn't necessarily there onscreen. You can underscore a sad scene with sad music, which may be okay. But you can also look for ways to play against the picture, and perhaps add a dimension or sensation that isn't evident otherwise. In some cases that involves tracking a character's emotional arc. What's the sequence of tasks in developing a score? I start on piano. I think about the thematic and melodic material I'm going to develop in the course of the score. From there, I begin realizing it using Cubase, and start working to picture. The colors take shape when I move on to my sequencers and samplers--I can experiment very easily with my huge library of sounds. On Seraphim Falls, I thought acoustic guitar might work as a lead instrument for some of the themes. It was easy to demo it out in Cubase, then have a friend who's an exquisite guitar player come in and play it. Next, I get the director down to my studio and press "go." I read his body language, listen to what he says, and then move to the next stage. What makes Cubase SX your platform of choice? I started on Cubase, and I ain't gonna switch! I came to Hollywood as a pen-and-paper man. Hans Zimmer was using Cubase in his complex, Media Ventures, and I had the great fortune to learn it there. There's nothing quite like learning a program while you're on the job and under pressure, as opposed to sitting on a couch reading a manual. I took to it like a fish to water, and I haven't looked back. Do you use many plug-ins? Sometimes, though it depends on the score. For Kingdom of Heaven, I recorded a lot of Middle Eastern instrumentalists and singers straight into Cubase. Once they were in my workstation, I could add effects with all the plug-ins that are available. But with a score like Narnia, there were few electronic effects. I was just trying to demo the orchestral sounds in advance. Any advice for aspiring film composers? There's no better way to get ahead than to meet someone in the field who needs help with whatever you can offer, be it arranging, orchestrating, or even composing a couple of cues. Then step out and try to do it yourself. Everything that goes around seems to come around. Now I have two or three young assistants who are doing for me what I did for Hans, and I hope I'll be able to help them along when the time comes!